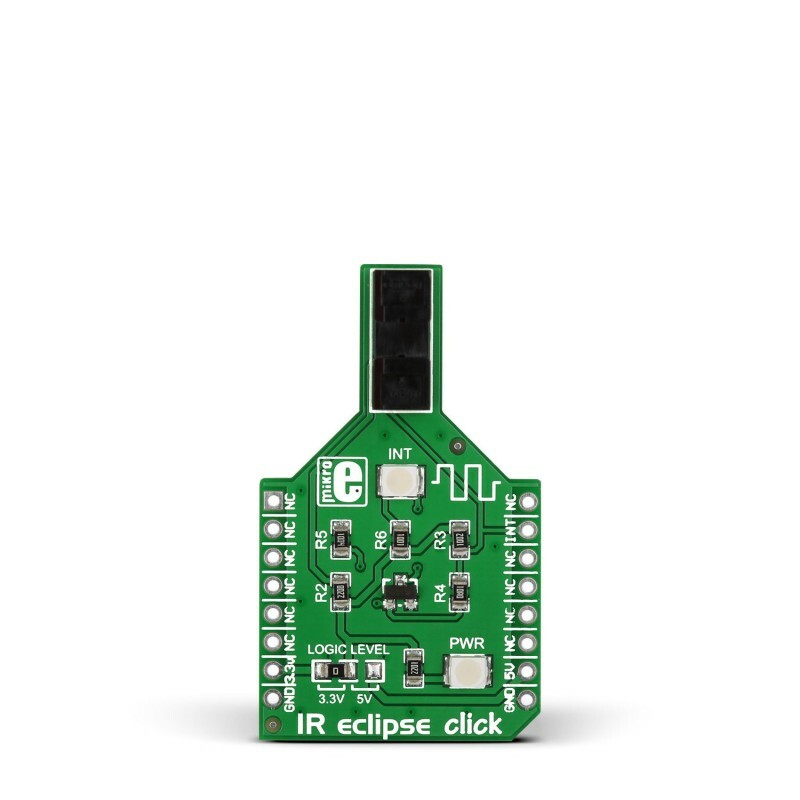 IR eclipse click carries an EE-SX198 photo interrupter sensor. 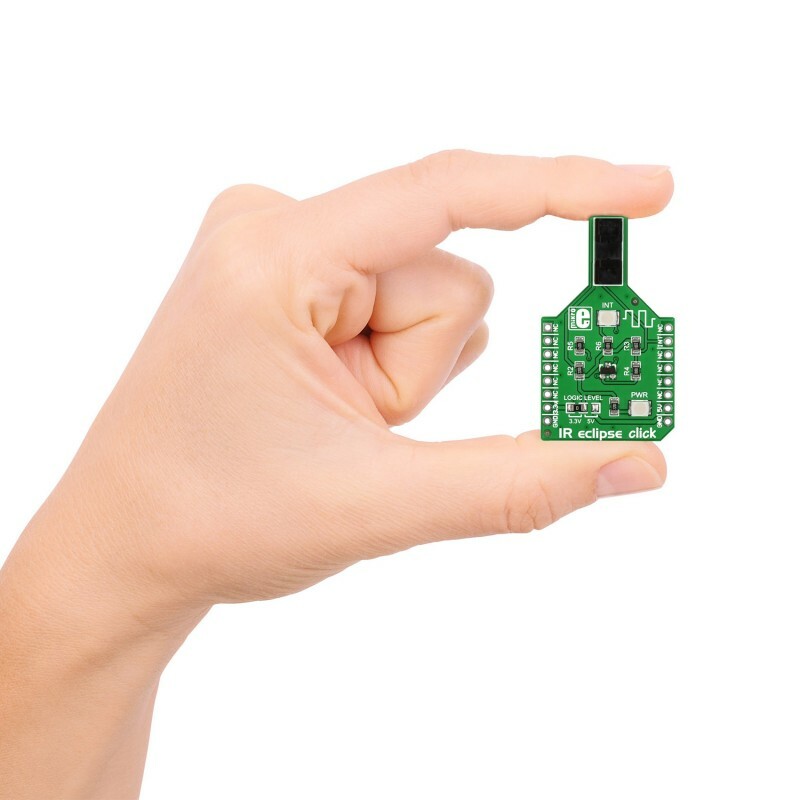 This sensor consists of an infrared transmitter and receiver facing each other and spaced apart by a 3mm slit. When the beam from the transmitter is eclipsed by placing an object in the slit (like a piece of paper), the sensor is activated (indicated by the onboard INT LED). 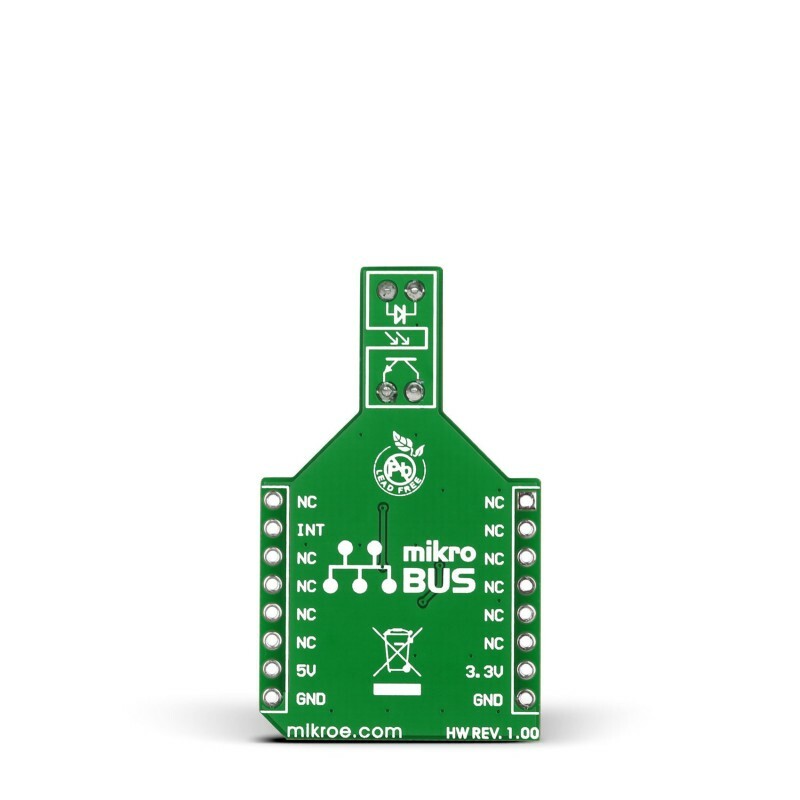 This type of sensor is typically used in printers, copiers, vending machines and so forth. IR eclipse click communicates with the target board through the mikroBUS INT line. 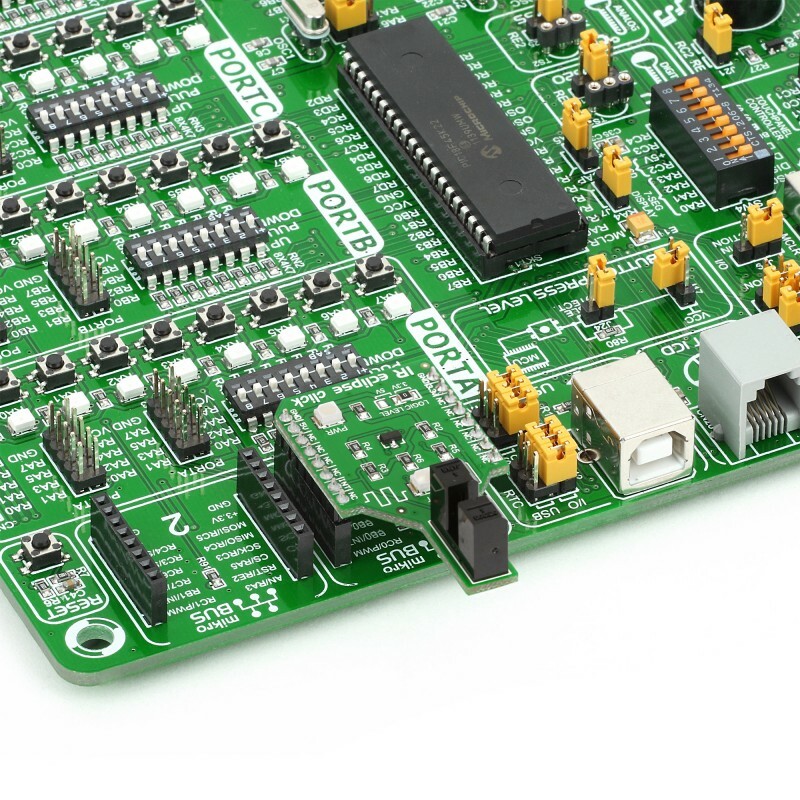 It’s designed to work with either a 3.3V or 5V power supply.